I’m having a week where my thoughts are bouncing all over the place. SO I’m going to share some random. If you need fun….there’s some fun in here. If you need a deep word or something to study, I’ve got some links in here to the Living Word. If you need visual inspiration, gaze into the above photo of Sleeping Bear Dunes National Lakeshore. For more you can search Sleeping Bear Dunes images. You won’t be sorry. 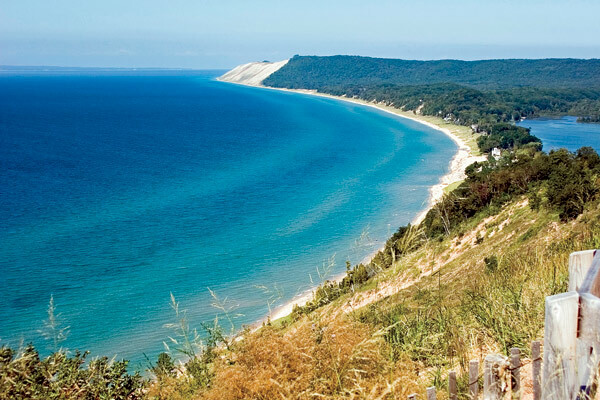 **Sleeping Bear Dunes National Lakeshore is a beautiful place. I am quite sure it looks like this in Heaven. Who needs gold streets when you have beauty like this? Not me. **My friend’s husband, who is also my friend too, posted this on FB this morning: “All I have seen teaches me to trust the Creator for all I have not seen.” So true. Just look at the above photo. **”It seems like yesterday, but it was long ago….” Random Bob Segar lyrics that are stuck in my head. Any Michigander who cannot immediately identify that these are Bob Segar lyrics from Against the Wind…I say tsk tsk. **We have a lot of people with J names in my family, but not as many as the Duggars. In my immediate family there are 4 J’s out of 16. Okay it seemed like a lot more before I counted. **God’s love is a consuming fire that ignites and inspires but never burns up. Let that one soak in. I’ve been soaking in that for 2 weeks and it still blows my mind. Need an example from the Bible of God’s consuming fire check out Moses and the Burning Bush on Bible Gateway. **Okay this is bugging me. I need to count. There’s one A name, one B, one C, one E, one H, one K, one O, two P’s, one R & two T’s. So the percentage of 4 out of 16 is 25%…which is a higher percentage than the others, so yes there are a lot of J names. Phew. I feel better now. **Remember in Bambi when Thumper says, “Mama says, if you can’t say something nice don’t say nothing at all.”? Well, Thumper’s Mama must read the Bible. God actually shut Zachariah’s mouth so he couldn’t wreck the blessing, He’d just given him. Zachariah was literally muted from the time God spoke about them having a son until Elizabeth gave birth to John. God did this to prevent Zachariah from speaking doubt and negative. Our words have creative power. So we need to stop speaking the problem and start speaking God’s word over our problem. This has been random thoughts with Jill. Have a fabulous day! By Jillbeingstill in Fun, God's love, Random on September 4, 2013 .